Mobile app development for restaurants might be a no brainer, in fact, it might be argued that it’s completely necessary to stay competitive. However, this is not as simple as it might sound (alright, maybe it doesn’t sound that simple…). The first, and arguably most important thing you will have to decide is the way you want to create and share your application. The good news is you have two options - you can develop either a native or web app. Native vs Mobile: What’s the Difference? A Native App is an application that has been developed for a specific mobile device (smartphone) and is installed directly onto said device. These apps are downloaded via app stores. Web development for restaurants is an internet-enabled app that is accessible via the mobile device’s web browser. These apps don't need to be downloaded onto the users mobile devices - think Safari web browser. So these don’t seem like a traditional application. They really have more in common with a website even though they may look like native applications. Overall: a Native App is designed directly for your mobile device and is accessed through the app store and installed onto your smartphone, where a Web App is always accessed via the web browser on your smartphone. The main difference is in implementation. So that’s the nuts and bolts of the difference — now — which is better for you? From the POV of the mobile device user, some native and web apps look and even work in similar ways. You can develop both native and web apps to widen the reach - generally the first thing you should think about is — do you want to develop a user-centric app or an application-centric app? From a development perspective, a native app will allow you to cut through some red tape. It is designed specifically for the mobile platform and meant to be directly downloaded to your device. It talks directly to the native programming language of your OS. 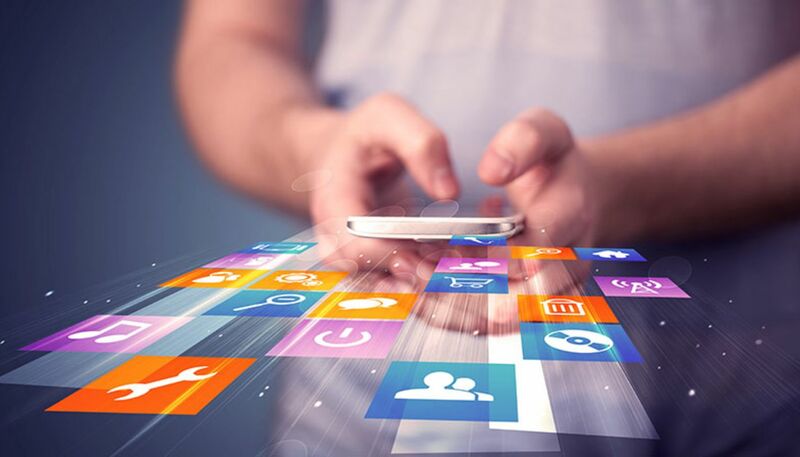 Each native mobile platform offers the developer its own software development kit, development tools and other user interface elements, which the developer can access and use with relative ease. Web apps use languages from other web application frameworks. However, in the case of web apps, there is no streamlined standardization and the developer does not always have access to these tools. Simply put, a native app is completely compatible with the device’s hardware and native features like a camera feature. However, web apps can only access a limited amount of the devices native features. So a native app works well as a standalone entity, but an issue to keep in mind is that the user has to continually download updates. A web app, however, takes care of updates itself without the need of user involvement. Bottom line here: Native Apps are expensive to develop. However they are significantly faster and more efficient, as they work in tandem with the device for which they are developed, whereas web apps may result in higher maintenance costs across platforms. Regarding making money on these apps — it can be harder to monetize with native apps than web apps for a few reasons. Primarily, web apps are more friendly to the use of advertisements, charging membership fees, or things like that. However, where the app store would take care of your revenue and commission if you are a native app, you would need to set up your own payment system with a Web app. Overall - Although there are only two options, the choice is not crystal clear as to which might be the best method, and is highly contingent on a variety of factors that you and your team should deeply consider. If budget allows, it would be wise to consider developing both to reach the largest audience. More user-friendly. This is because native apps work with the device’s built in features, so they are easier to use and perform faster. Provided support: Native apps get full support form app stores, who also make it easier for users to find and download your app. Once apps have gained the approval of the app store, your app is considered completely safe and secure. Easier for developers: Because a useable software development kit is provided, and all other tools to create the app in the first place. More Expensive: It costs more, especially if you want the app to be compatible with multiple mobile devices and platforms — and also in regards to app maintenance and updating. Approval Process: This can be long and tedious, and may not always result in success. Easier Maintenance: Due to having a common code base across mobile platforms, they are easier to maintain from a development standpoint. Bypass Approval Process: Because they don’t require developers to submit their apps to any app store for approval, greatly speeding up production time. Compatibility: Web apps can be manipulated with ease to be compatible with older mobile devices. Direct to User: Your customer won’t need to bother going through the proverbial middle man of an app store. Limited Scope: Web apps have a limited scope in regards to accessing a mobile device’s features. Costly: If you want an app that is supported across multiple mobile browsers, it can be a more expensive proposition for deveopers, raising the cost of developing and maintenance. Difficult to Track Users: Since different consumers use different mobile browsers, it can be difficult to maintain an accurate record of usage patterns to provide necessary support. Discovery: Because it is not in the app store, it may be more difficult for potential users to find your application, since it is not systematically listed in any app store. Regulation: Because no regular quality control system is in place, users are not always guaranteed a safe and secure experience. How important is speed and performance to you? Is Your Mobile App Optimized For Customer Satisfaction? If you’d like to learn more about mobile app development for restaurants or custom Olo mobile applications for iOS and Android, the team at DineEngine® is here to help. We listen to customer feedback when designing mobile ordering software for your restaurant. Please get in touch and tell us about your needs and goals for your mobile app. We love nothing more than to create enhanced digital experiences that will make both restaurant owners and their customers happy.